How about a list of ’25 ways of being a good teacher’? 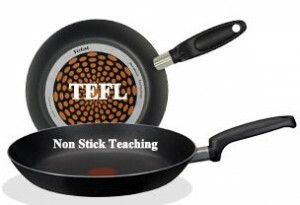 So how to be a “non-stick” teacher? A teacher that cooks up a storm but leaves no mess? Here, is my list. 1. Get to know your students! Make it personal, connect the curriculum to their lives. 2. Engage the “ego”. Promote pride. Give ALL students success. 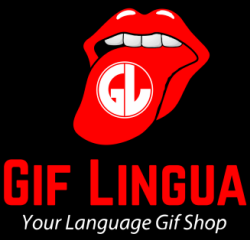 Meaning…. 3. Keep it simple! It’s about what they do afterwards, not in the classroom moment, that is important. 4. Practice don’t preach. Show and model. You, reading a book during break teaches “reading” more than any lesson. Meaning…. 5. Share yourself. Teaching is personal. If you don’t share some of your life, they won’t. CARE and show you care. 6. Make students think! It doesn’t have to be Jeopardy but get them learning other things besides language. 7. Give students responsibility. Good teachers have students doing most of the prep and work. 8. Go slow. “Slow teaching” will be the new “in” thing in the future, believe it or not! Why? It works! Education is no longer about content but about digestion…. 9. Provide structure. Students need to know what you will do during each part of the lesson. Systems are good! 10. Use hooks! Engage students at the beginning of lessons. Great teachers teach inductively. Whole to the parts. 11. Have an open door policy. Teach openly and share openly with colleagues. We are all learning and developing. 13. Pow wow. Make it a point to have a conference with a student. They need that one on one. 14. Color things up. Use pictures/photos! Use real props. Context is everything and video/photos provide it in spades. 16. Use student names as much as possible when talking to them. Names light up the brain and foster learning. It’s true! 17. Teaching is acting. Don’t be yourself but be whoever it takes to get students motivated and learning…. 18. Give students control. Let them be the teacher! For example, why shouldn’t students lead the class in TPR exercises? Why not make your classroom more like a sandbox than an assembly line? 19. Don’t be afraid to “talk teaching” in the staff room. Share what you are doing with other teachers. This will transfer into the classroom. 20. Record student achievement/work. Make portfolios, keep records and examples, display their work. You have to know A to get to Z. 21. Get “off the beaten path”. Take detours. Look for teachable moments. Connect the content to reality at every opportunity. 22. Teach students, not the subject! Learn more about differentiation and treat each student as “special”. Study up on how special educators approach learning. 23. Be holistic. 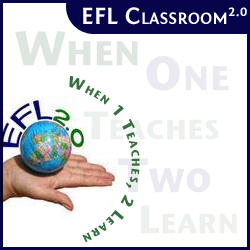 Teach language – don’t teach “writing” or “reading” etc… The whole English language is the true curriculum. 24. Have style. Each teacher must find their own “way” and “manner”. It takes time but discover and nurture this and make it your core. 25. Have a philosophy. You need a “why” to bear the inevitable almost any “how” of a classroom. Read books, talk to others, write out a journal. Great teachers are reflective about their job. Now I know that this might seem a tall order. We can’t do all these things. However we can try. It is this trying that makes all of this possible. Next story Edublog Awards – My thoughts. ■ Don’t spend any time making games or planning lessons. You’re not getting paid for that time, so don’t do it. ■ Don’t bother learning about the language and culture of Korea. You’re here to teach English, not learn Korean. ■ Complain about the kids. Remember when you were a child, and you were perfect in every way? Why can’t your students be like that? ■ Don’t even enjoy the kids. If you enjoy the kids, and you mention it here on Dave’s ESL Cafe, the other contributors will think you’re a you-know-what. ■ Teach straight out of the textbook. The author of the textbook has done all your work for you, so there is nothing else you need to do. ■ Don’t listen to anything your students have to say. You’re older than they are, so you’re smarter than they are. So there’s nothing you can learn from them. ■ Don’t listen to students’ feedback. If they complain, it’s only because they’re too lazy to do any work. ■ Don’t do anything fun. ■ Don’t show any signs of dedication. If you do, the other foreign teachers will think you’re from Squaresville. ■ Spend all your leisure time with other wegukins. If you spend any time with Koreans, the other foreign teachers will think you’re a phony liberal. You’ve made my day! 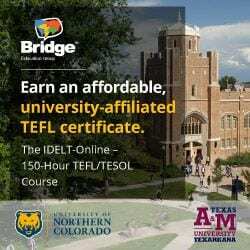 Are you the next Mark Twain of TEFL? So much you say has some truth to it. You should PDF this and make it a 10 commandment poster! Thanks for sharing, lots of food for thought there.